​When will DeMarcus Cousins return? Well, folks, it's finally time to get ready for Boogie in the Bay. We've long wondered just when ​Cousins would be able to get back to NBA action after suffering a devastating Achilles injury last year with New Orleans. After he stunningly signed with the Warriors for mid-level money in the offseason, the hype and the emotions only got ratcheted up even more. And now, we finally know when Boogie will make his debut for the ​NBA champs. According to insider Marc Spears, mark those calendars for January 18th against the Los Angeles Clippers. 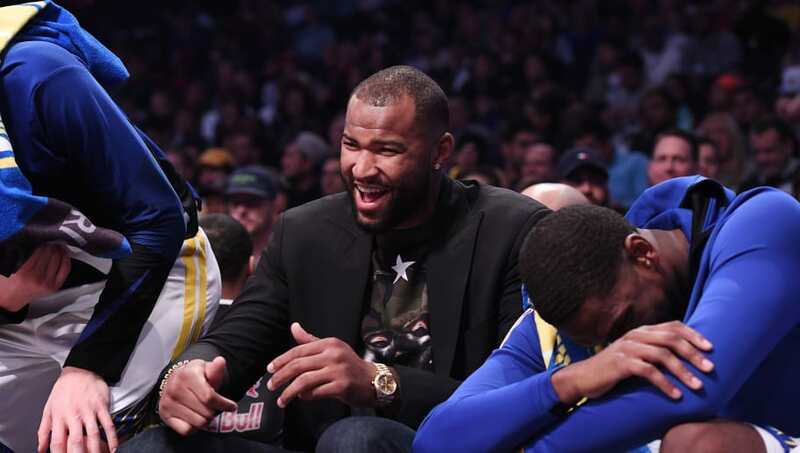 Warriors center DeMarcus Cousins considered returning in early December and on Jan. 16 against the visiting Pelicans before he, his team and the Warriors concluded on a Jan. 18 return at LAC, sources said. The Warriors players actually learned about his return date yesterday. Notably, the Warriors won't roll out the super-skilled big man on the 16th against his former team. What a shame; think about the incredible fascination that would have accompanied such a night! Cousins, one of the most gifted offensive big men in basketball, has the luxury of tempered expectations when he returns to the hardwood. Achilles injuries are notoriously difficult to bounce back from. Few are ever quite the same. But given that he'll he playing alongside four All-Stars, two of whom are ​former league MVPs, the pressure on him couldn't possibly be lower. That's great news for him. But for the rest of the league, ​it's an absolute nightmare.